Chairman/CEO, MediSys Edu Tech Pvt. Ltd.
Mr. Rao previously worked with Siemens, Tatas and others in top management/CEO positions, and has a very successful track record in managing turnarounds as also start-ups. Mr. Rao has an abiding interest in sustainability and in design issues; in what it takes to craft new operating models and build enterprises that achieve apparent odds. Amongst others, he is an advisor to NGOs in the health sector, impact investors and academic institutions. He is an independent director on a few boards, and closely oversees a chain of cancer hospitals in India. He holds a Bachelor’s degree in Engineering from Osmania University in Hyderabad, India and a Masters in Management from McGill University in Montreal, Canada. Managing Director, Pragati Offset Pvt. Ltd. He was Graduated in Chemical Engineering from the Manipal Institute of Technology in 1975. Worked in a Metal Finishing company in Bangalore for 2.5 years. He then joined Pragati Offset Pvt. Ltd., a commercial printing press started by his father Sri Paruchuri Hanumantha Rao in 1962. He is ably supported by his brother Mahendra, and sons Harsha and Hemanth. Their hard work and keenness to excel has placed Pragati where it is today – among the best printers of the world. It is the most awarded print company in India. Senior Managing Director, MegaDelta Capital Advisors LLP. Bala has 28+ years of work experience of which 18 years have been in investment advisory. Her investing experience spans multi stages and multi sectors. She has, in these 18 years experienced three investing cycles and learnt immensely from them. 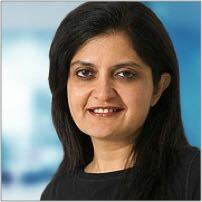 She started her investment advisory career in ICICI Venture in 2001 where she inherited a large portfolio of about 39 companies. These companies were invested during the irrational exuberance of the Y2K/dotcom boom, hence posed considerable challenges in a multitude of ways. She unlocked value by retrofitting the investment thesis accurately choosing the winners and renegotiating valuations and investment terms. This portfolio returned ~ 3.3x INR MoC over 5 years. Apart from the portfolio, she assisted the team that raised ~ USD 245 million fund in 2003 of which she invested ~ USD 80 million in 6 companies which returned ~ 4.0x INR MoC in this fund. She was part of the core team till 2008 and actively participated in Fund raising, portfolio management and in driving exits. In 2008 she joined NEA to set up and head its India advisory practice and oversaw the deployment of ~ USD 325 million across three NEA funds. During her investment advisory career, she has successfully advised on the execution of over 25 exits including the first Internet IPO, first low-cost airline and first news channel. She has generated returns in her portfolio through IPOs, secondary sales, company and promoter buybacks. Bala has been on the boards of directors of several of the fund’s investee companies. Through these she has helped provide strategic guidance and direction and nurture entrepreneurs while ensuring the fund’s interests. Entrepreneurs have regarded her as a trusted collaborative partner, committed to building enduring businesses. She has been an Independent Director on the Board of Info Edge Ltd and Future Enterprise Limited for 10+ years. She has been part of their journey from a start-up young company to being multi-billion-dollar market cap listed companies. Prior to her investment advisory career, Bala had deep operational experience having worked for about 10 years with well-regarded multi-national corporations in India such as ICI, Cadbury’s and Best Foods. Her roles spanned B2B Sales, Franchisee management, consumer products branding & marketing and strategy. This experience enables her to provide valuable insight to entrepreneurs and to help them think through issues. Over the years of operational and investment advisory experience Bala established a strong network amongst operating professionals, investing peers, investment bankers and other stakeholders in the eco-system in India. Managing Partner, MegaDelta Capital Advisors LLP. 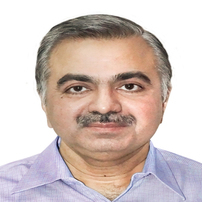 Prior to MegaDelta, Ruchir was a Managing Director at NEA India where he managed NEA’s investment in FSS, MediSys EduTech, Naaptol, Vishwa Infra, IDfy, GOQii etc. Ruchir brings more than eleven years of experience in various roles in private equity investing, equity research and M&A and IT services. Prior to joining NEA, Ruchir was with ICICI Venture where he worked on investment opportunities in retail, consumer, FMCG, media, telecom services, payment services, technology products/services and education. He also actively managed portfolio companies in textile, payment services, technology and retail. Ruchir has worked with Thomas Weisel in India as a lead equity research analyst and with TATA Consulting Services (TCS) in delivery roles as well as in their in-house M&A group. 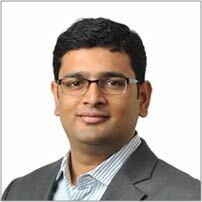 Ruchir has an MBA from the Indian Institute of Management (IIM) Ahmedabad and a B.Com (Honours) from Delhi University. Founder and Managing Director, Immertive Pvt. 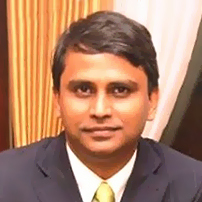 Ltd.
Dr. Neeraj Raj is synonymous with Multimedia and Animation in Hyderabad. As a creative Gold-medalist doctor, he is into various fields – medicine, painting, photography, cartooning, multimedia, animation – and he pursues each with unbound passion. He has converged all these with a vision to make them all components to provide knowledge – through a process that we all know as e-Learning. Dr. Neeraj graduated from Osmania Medical College as the Best All-Round Out-going Student of 1987 with University Gold Medals in Anatomy and Pathology and distinctions in Pathology and Preventive Medicine. He topped in General Medicine. As a Fine Artist, he has exhibited his paintings both in oil and watercolors at solo and group exhibitions; As a social and political cartoonist, his cartoons have been published in The Illustrated Weekly of India, Indian Express and Sunday Chronicle and were accepted for exhibit at the World Humor Conference. Combining Medicine & Art, started ‘Medicoms’ in 1989 and established MEdRC (Medical Education Research Centre) in 1993 to make medical teaching and learning material and catered to the teaching needs of over 2500 doctors and others in the healthcare sector. 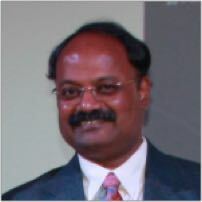 Dr. Neeraj has contributed significantly in the area of multimedia user interfaces by visualizing and developing products that could let common people use computers. His previous company Dr. Neeraj’s Multimedia Studios had installed Touch-Screen InfoKiosks all over Hyderabad city way back in 1994 and later with Sriven Multi-Tech Ltd, Internet based WebKiosks in 1999. 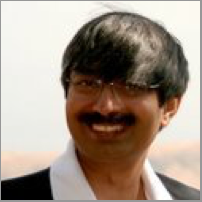 Combining his multi-disciplinary knowledge, and realizing that e-Learning is as multi-disciplinary in requirements, Dr. Neeraj started using tools like animation, video and graphics in very different ways – combining them with knowledge from people like educationists and software experts to develop e-Learning platforms and knowledge products that seek to revolutionize the way we learn. Dr. Neeraj has combined his medical knowledge and artistic skills and creatively blended them with converging technologies laying the foundation for a Virtual Medical University – facilitating knowledge from master teachers to reach every doctor allowing him to treat us better! Former Managing Director of Morgan Stanley. well as growth investments in Avesthagen, Arch Pharma, Malladi, Bharat Biotech, & Metropolis amongst others. He served as a member of the board on several of these portfolio companies, and brings with him over 20 years of organizational building and corporate experience in India, UK & USA. He is a graduate of BITS, Pilani, and a Sloan Fellow from the London Business School.